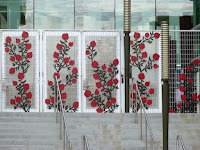 Today was Day #4 of Chocolate and Flower Theme Week, and roses loom large in this week's featured chocolates. 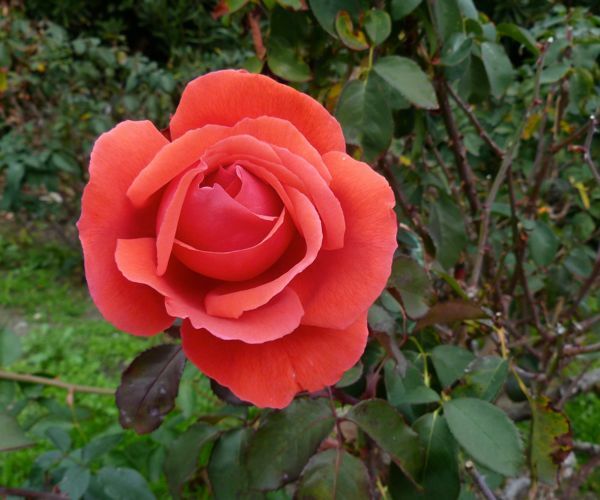 Even though January isn't peak flower season, winter dreams of roses. 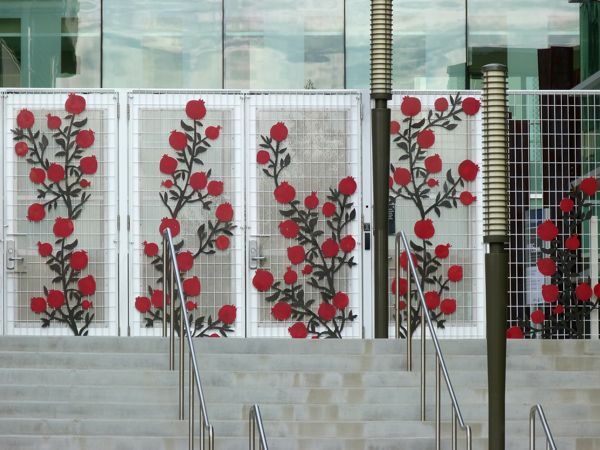 The local Stanford University Cardinal football team won the New Year's Day Rose Bowl game a few days ago. 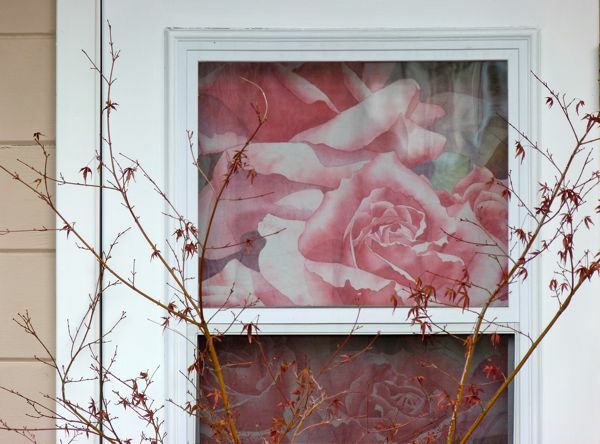 And I noticed rose-related imagery and objects today on a neighborhood walk that I'd never seen before. There was even a "real" rose, that had survived recent frosts. 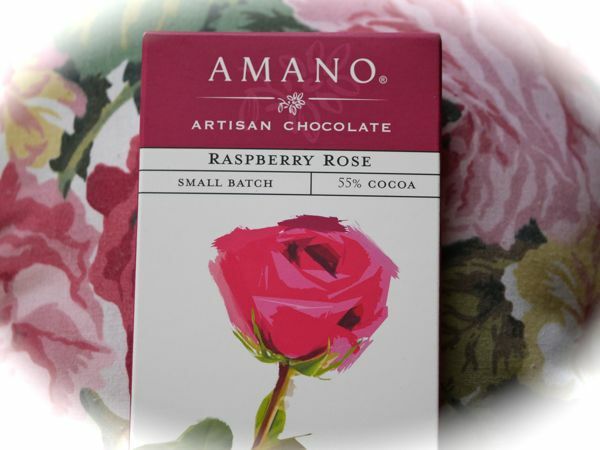 Art Pollard and team at Amano Chocolate Company (Orem, UT) know something about conjuring bright, sunny and floral flavors in the middle of winter. The company makes chocolate in a region where winters include snow. 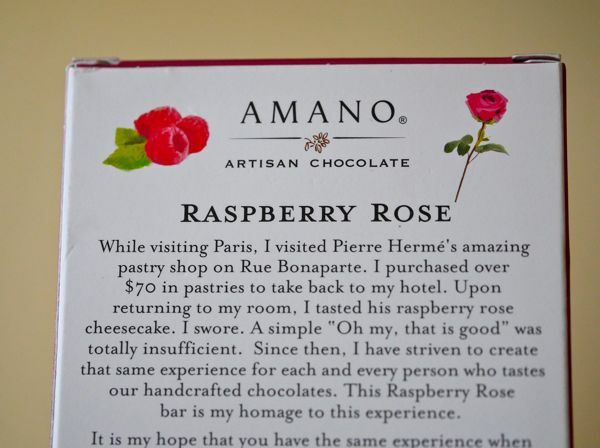 Amano's Raspberry Rose bar was inspired while Art was doing research at a pastry shop in Paris, which included sampling a raspberry rose cheesecake. The resulting chocolate was a complex fruity and floral bar. Today's bar gave the taster a colorful and satisfying ride. The complex aroma and first impression included bold, earthy, acidic notes*. The first bite revealed sparkles of raspberry fruit flavor. The texture was a mix of crunchy (possibly flavor-infused) sugar crystals, and smooth rich chocolate. The rose floral notes (from rose petals and rose extract) were a bit elusive but contributed nicely to the overall flavor experience, and a softly lingering aftertaste. Oo la la, I think I just took a virtual trip to Paris. Nothing like a little culinary transportation on a wintery, gray day. 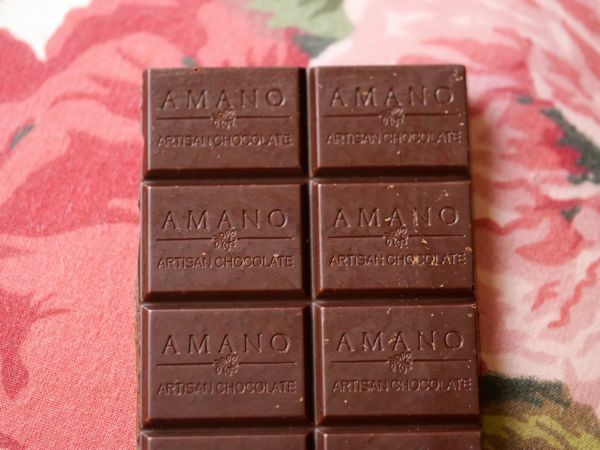 *The base 55% cocoa (kosher) chocolate for this bar was made with cacao beans from Ecuador, "fairly traded with the farmer."